Opening for 2 more teams!!! August 4th tournament is currently full. Registrations after this point will be put on a wait list. Registration will open April 2016 for Summer Sand Volleyball run by Moto Volleyball at Pinheads Entertainment Center in Fishers, IN. for boys and girls from ages 10 to 18. Lead instructor will be Emily Rhiver. Come learn how to play this life time sport that will develop your indoor volleyball skills to their fullest. 6. Cost effective program that allows for play all summer while still giving families the opportunity to do their vacations and get-a-ways. 5. 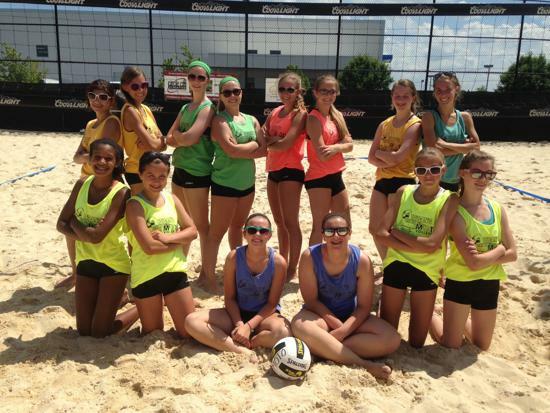 Proven system of training for Sand volleyball that develops skills and is fun for all ages. 4. Convenient location and hours. 3. Built in tournaments to ensure play, as well as, the opportunity to go and play in other events. Who: Boys and Girls from ages 10 to 18 years old. Why: Develop the skills to play the game for a life time. Hone all volleyball skills to carry over to the indoor game. When: Time slots are Monday/Wednesdays from 12:00 to 1:30pm and 1:30 to 3:00pm. Tuesday/Thursday from 10:00 to 11:30am and 11:30 to 1:00pm. Start the week of June 6th and end on July 28th. We encourage younger players(10 to 13) to register for the earlier time slot and the older players (14 and up) to register for the later time slot. How: Sign up as a team or as an individual. Older players will play doubles while younger players will play either quads or trips. Registration is open now by clicking on the link above. Cost: The cost for the entire summer session is $325 which includes, court rental, insurance, instructors, player package, two paid tournament entry fees at Pinheads. 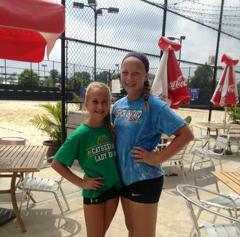 Tournaments: Moto has partnered with another sand volleyball operation and will be hosting tournaments at Pinheads on most all Saturdays in June and July. Details about tournaments will be released once we get closer to the start of the season.